US Steel, Aluminum Tariffs Activated; Some Countries Exempt - Integration Through Media ....! 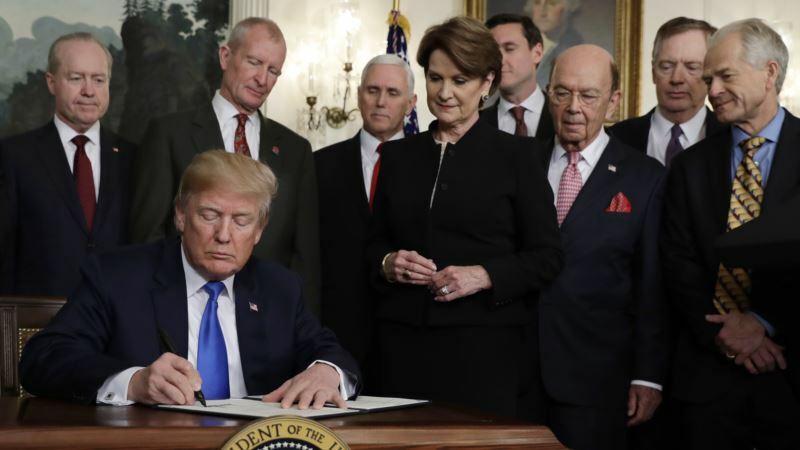 (VOA): The White House announced late Thursday which countries will be temporarily exempt from the tariffs on steel and aluminum that go into effect Friday. Earlier this month, President Donald Trump announced 25 percent tariffs on steel coming into the country and 10 percent tariffs on imported aluminum. The countries winning the temporary exemptions are Argentina, Australia, Brazil, Canada, Mexico, South Korea and the member countries of the European Union. Exemptions to be monitored The White House says it is in ongoing discussions with all the exempted countries and will “closely monitor” their steel and aluminum imports. The president will decide by May 1 if he will continue the exemptions, “based on the status of discussions” with the countries. The EU will negotiate for its member countries. Trump said in proclamations issued Thursday night that steel and aluminum articles “are being imported into the United States in such quantities and under such circumstances as to threaten to impair the national security of the United States …” The administration has said that retaining a domestic steel and aluminum manufacturing capacity is a matter of national security in order to build everything from tanks to rockets, as well as critical infrastructure such as water treatment plants. Opponents of Trump’s action see it as undermining the rules-based global trading system and using national security disguised as protectionism that will encourage other countries to resort to the same premise to protect their domestic markets. The White House has rejected that argument, contending that the U.S. “is the freest-trading nation in the world” and arguing that the rules-based trading system, under the 23-year-old World Trade Organization with 164 member states, “is not working very well for the American people.” TPP replacement signed Trump announced his plans for the tariffs earlier this month, just hours after 11 other countries formalized, in Chile, a revised agreement that reduces tariffs and cut trade barriers among the member countries. Known as the Comprehensive and Progressive Agreement (CPTPP), it replaces the Trans-Pacific Partnership (TPP) from which Trump withdrew the United States. The countries that joined the TPP successor are Australia, Brunei, Canada, Chile, Malaysia, Mexico, Japan, New Zealand, Peru, Singapore and Vietnam. Trump boasted that trade wars “are good and easy to win” after his surprise announcement to levy the tariffs on the two metals.